This walk visits sites in the Kensington area from the career of rock music legend Jimi Hendrix. This walk lasts about 2 hours and ends in West Kensington. Meet: 11.00 am outside High Street Kensington tube station. 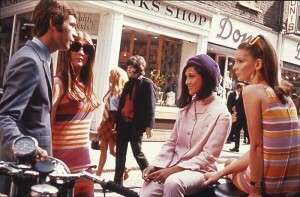 It’s back to the Swinging Sixties as we visit sites associated with Jimi Hendrix, the Beatles, Joe Meek and others. This walk lasts about 2 hours and ends at Manor House. Meet: 3.00 pm outside Highbury & Islington tube station. 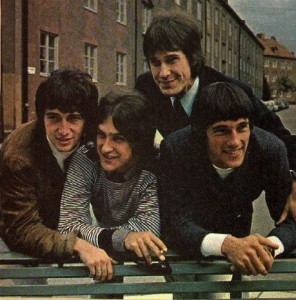 This tour visits sites in Muswell Hill connected with the history of the band. It lasts about 2 hours and ends in Muswell Hill. Meet: 3.00 pm outside East Finchley tube station (the exit by the car park on the High Road). The second tour in the series takes in Highgate and Archway, focusing on one of their classic albums. The walk lasts about 2 hours and ends back at Highgate tube station. The final walk in the series visits sites in Crouch End and Hornsey. The walk lasts about 2 hours and ends back at Crouch End Clocktower. 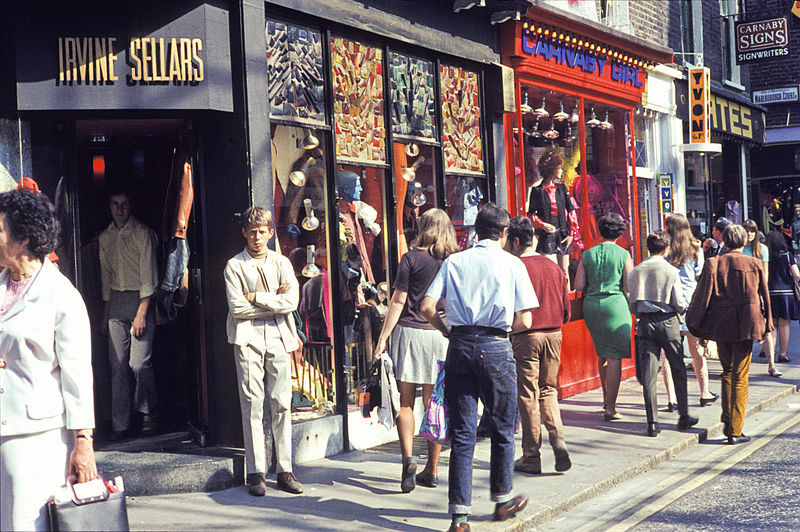 If you don’t have time for a walking tour of London, you can still take a short and sweet trip through the Sixties by visiting Carnaby Street, just minutes from Oxford Circus train (tube) station. It’s immortalised in The Jam song Carnaby Street. It appears in The Kinks’ Dedicated follower of Fashion (Carnabetian Army). It’s in Episode 15 of The Simpsons. U2 shot the video for “Even Better Than The Real Thing” in Carnaby Street. And of course – Austin Powers had his 1969 flat on Carnaby Street.